Join parents, alumni and the St. Pius X community for two days of play to raise funds for the St. Pius X football program and the Alumni Scholarship Fund at the George B. Maloof Lion Nation Golf and Tennis Classic, April 30 and June 7. For more information, click here. Purchase your ticket for the Orange Beach Vacation raffle here. Trivia Night 2019 Now Sold Out! Trivia Night 2019 | January 19, 2019 | 7:00 p.m., doors open at 6:00 p.m. The 11th Annual Trivia Night at St. Pius X is now sold out! Questions? Email alumni@spx.org. Trivia Night is a 21+ event. 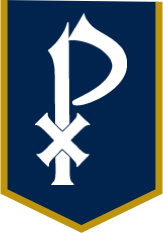 Fore the Love of St. Pius X - Thank you! LION PRIDE! The Georgia State Soccer Association recently published a list of the Top 50 Soccer Players in the first 50 Years of GA Soccer. Congratulations to Ricardo Clark `01, Jimmy Maurer `07, Richard Richmond `87, and Andrew Wolverton `11. Read More. Taylor Halbig '12, enters the religious community of the Daughters of the Virgin Mother in Charlotte, NC. Taylor Halbig, class of '12 (brother Matt '18 and sister Sarah '21) entered the religious community of the Daughters of the Virgin Mother in Charlotte, NC. On March 19, 2018, she received her habit and religious name, Sr. Mary Jacinta of the Holy Name of Mary!